The next time you complain about how much it costs to feed your dog, or bemoan the fact that he’s eating you out of house and home, spare a thought for Gary Randfleish in New South Wales, Australia. His dog, a Pyranees named Snowbear, really does eat like a horse – as he’s roughly the same size as one. Snowbear weighs the same as an average adult male, 75kg, and towers over his fellow pooch Beethoven (naturally a St Bernard). Snowbear gets lavished with attention wherever he goes and between him and Beethoven they’re eating everything Mr Randfleish can afford to give them. As all good things must inevitably come to an end, so does Dream Dogs’ week long pageant of pooches. If there’s one common theme that’s been present, it’s that each dog we’ve talked about has been a real dog. However, the moment is upon us to look at the staple of kids animated TV shows – the cartoon dog. There are so many animated shows featuring dogs that this was a hard one to trim down to five. Inevitably, the results are controversial. There are some that you may have thought as an obvious shoe-in that cruelly didn’t make the cut. There was much discussion here at Dream Dogs Towers over who should be included. Other technicalities arose, such as whether K-9, Doctor Who’s radar-eared sidekick should count as a dog at all – after all, he was real in some sense – or Dino, Fred Flintstone’s pet who acted like a dog but looked like a Brontosaurus. Fisticuffs ensued and noses were bloodied, but after the dust settled we were left with this, our list of the top five cartoon dogs. 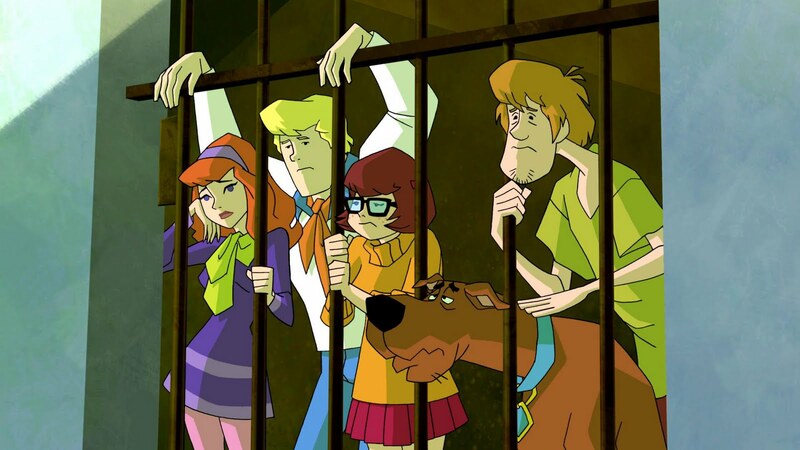 Arguably Hanna Barbera’s flagship cartoon show; the show stuck to a tried and tested format, with dull-as-ditchwater Fred, minx Daphne and spectacles-dropping frump Velma playing the straight man to Scooby and Norville ‘Shaggy’ Rodgers. Scooby and Shaggy would split from the rest of the gang on the hunt for ‘Scooby snacks’ (whatever they were), and what would follow was predictable. Scooby and Shaggy would try to escape the monster by pretending to be chefs or barbers, Scooby would fall into a trap laid by Fred and someone would appear behind a secret wall panel. Well you’ve heard of the 101 Dalmatians escaping Cruella De Vil, now we have the sad plight and unfortunately more real story of 99 St Bernards escaping Mary Ellen Collis. Yesterday, 51 year old Mary Ellen Collis pleased guilty to failing to meet the care and welfare needs of 14 St Bernard dogs and to causing unnecessary suffering to a further 85 St Bernards. The dog breeder was formerly of Wardana Kennels, Brigstock and the RSPCA was alerted to the dogs condition by the general public. In November last year, the RSPCA, a vet and the police were appalled at the state of the dogs they found at the dog breeder’s kennels. 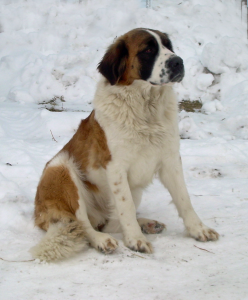 Fans of Eastenders will know that Gumbo, a slobbering, huge, cuddly St Bernard, has made a real impression on the soap, however, he is also the centre of much controversy this week. As regular readers will know, it was not too many months ago that the BBC documentary Pedigree Dogs Exposed and the follow up news that the BBC has dropped Crufts from its broadcasting schedule after 15 years has put the BBC at the centre of many arguments over how the Kennel Club encourages dog breeding for appearance as opposed to health. 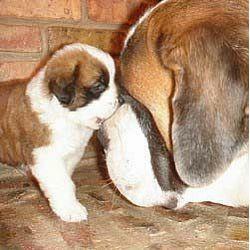 The RSPCA has rescued one hundred St Bernard dogs that were abandoned without food or water at a kennels. Sadly, two of the dogs that were rescued later died due to the poor condition that they were found in. The dogs that were rescued were found locked in cages, and had been there for days. They included adult dogs and puppies.